Beginning with X_STUDY 7.8 spread charts are now built using Autospreader configuration. First, create and launch the spread using Autospreader Manager. 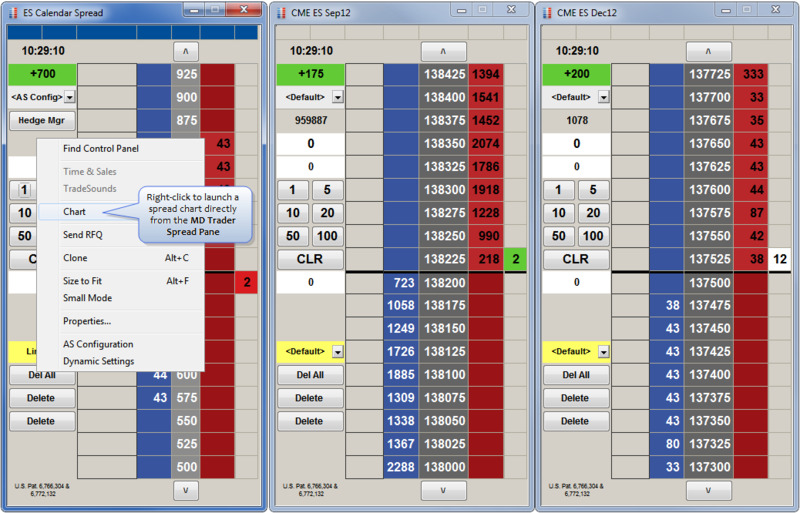 Once the spread is launched, right-click the trading window (e.g., MD Trader Spread Pane) and select Chart from the right-click context menu. 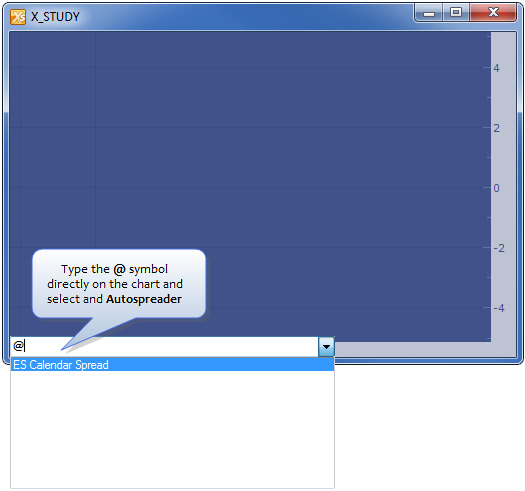 TIP: Launch a spread chart by typing the @ symbol directly on the chart and then selecting an Autospreader configuration. You can also drag and drop an Autospreader® configuration onto the chart.